The Grand National is nearly upon us, as Britain gears up for one of the biggest days in the sporting calendar this Saturday at Aintree. It’s thought at least £150 million will be spent in bets, with more than 600 million of us set to follow the big race in some capacity. To mark the occasion, we thought we’d get in on the act, with £1 million on the line right here at i-pools, and the best bit is, you don’t have to spend a penny. So if you fancy a free bet and think you’ve got what it takes to turn your Grand National predictions into big cash, you’ve come to the right place. £1 million Jackpot Predictor: Our £1 million Grand National Jackpot Predictor couldn’t be much simpler to play. Enter for FREE by 5:15pm on Saturday - maximum of four entries per player - predict the first six horses to finish in order as well as how many you think will finish the race, and if you get all seven questions correct, you’ll scoop the £1 million Jackpot. Obviously it’s going to be a tough ask - you are playing for £1 million free of charge! The National is well known for its unpredictability, with the favourite seldom coming through, demonstrated by the fact five 100/1 shots have been victorious in the past century. 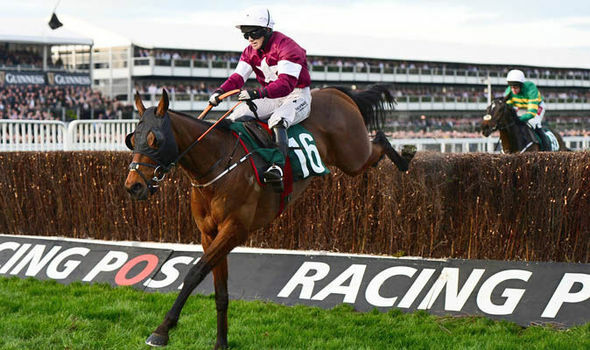 Tiger Roll was the victor last year at 10/1 as the joint second favourite and is 7/2 favourite to become the first horse since Red Rum, in 1973 and 1974, to record successive Grand National wins. However, 2010 was the last time the favourite won the Grand National, with fourth favourite One For Arthur at 14/1 and 33/1 shot Rule The World securing victories in 2017 and 2016 respectively. But Tiger Roll is the shortest priced favourite for many a year, and if he wins, would become the shortest winner since 1919. Just to further demonstrate the unpredictability of the National, the average price winner since 2010 has been 28/1, and remember you’re predicting the first six to finish the race in order. Other strong contenders include joint second favourites Rathvinden and Anibale Fly at 10/1, Lake View Lad at 14/1 and Joe Farrell at 20/1. If you manage to get the first six horses in order, then comes predicting how many will finish. Again, a tough ask with 26 failing to finish last year, 21 in 2017 and 23 in 2016. You get four free shots at winning the £1 million, so what are you waiting for, you literally have nothing to lose. Big guarantees to be won: That’s not all we’ve got to play this Grand National. On Saturday, there’s a total of £1,000 guaranteed in our two Fantasy pools, with £300 to play for in Friday’s Aintree Pick 7. Our traditional Fantasy pools require you to pick a winner in each selected race, with six to pick on Saturday at just £1 to enter. All you have to do is score the most points to get your hands on the biggest share of the prize fund, with the minimum first prize £200 in our £500 guaranteed game on Saturday and between 10-20 prizes paid out in total. The second Fantasy game to play on Saturday will also have £500 guaranteed, with entry set at £2. This is just for the Grand National, where you must pick five horses to form your Grand National stable. You’ll score 50 points if your horse finishes first, 36 for second, 30 for third, continuing to a point for finishing. Keep an eye out for these which will be open to play Friday. With plenty to play for this Grand National, don’t miss out on your chance to win big at i-pools.